A partnership between internationally acclaimed and award-winning chef Luke Dale Roberts, his wife Sandalene, chef Wesley Randles and manager Simon Widdison, The Shortmarket Club quickly established itself as one of the top dining destinations in the Cape Town city centre. In 2017 it was nominated for the décor and design award at the second annual Gourmet Restaurant Awards; it was also placed at number eight in the 2017 Eat Out Mercedes-Benz Restaurant Awards, the most prestigious restaurant awards in the country. Good news for diners is the return of the popular Prix Fixe winter lunch menu. 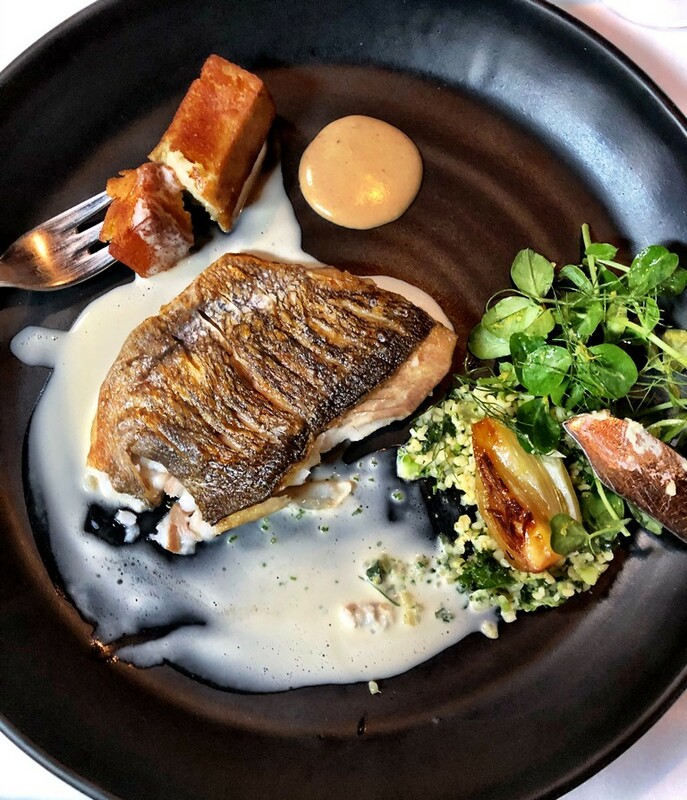 “This three-course menu is ideal for a quick lunch that delivers on flavour, and it’s ideal for local business people to enjoy,” says Widdison. Consisting of three courses, the menu is set. However, those three courses can change as and when ingredients and chef’s inspiration dictates. We went along to try it out last week, and were treated to two extra amuse bouche surprises along with our Colmant bubbles. The first was Cape bream sashimi in coconut tiger’s milk dressing with peanut and lemon grass sambal and fresh persimmon, followed by springbok tartare with ponzu and walnut dressing, raw endive, and frozen parmesan. These set the bar rather high for the rest of the meal. The starter was tuna belly with sambal oelek, basil, hot coconut oil and freshly squeezed lime juice. Warning: this dish is highly seasoned and quite (burny) hot. What it lacked in presentation – if you’re expecting a spectacular work of art on the plate, that is – the main course more than made up for in flavour. It’s not at all “bad” to look at – oh no. Just a tad ordinary. The perfectly grilled piece of fish (which is local and ethically sourced) was served with a lemon and tarragon veloute, fried panisse (utterly divine crispy-on-the-outside fluffy-on-the-inside fried chick peas), smoked mussel aioli (fabulous for dipping the panisse), and green bulgur wheat to add texture and colour. So delicious was it that I completely forgot to take a photograph before hungrily tucking in. This is, I believe, an excellent sign, as is the clean plate afterwards. For dessert, SMC served its take on strawberries and cream – strawberries marinated in rose and Darjeeling with vanilla sabayon, raspberry granita and meringue shards. The combination of these elements is virtually foolproof. * The three-course menu is R280 a person, or R380 including a carafe of wine. It is available only at lunchtime, Mondays to Saturdays, until the end of September. It’s well worth a visit if you’ve not yet experienced the joys of this classy yet comfortable restaurant. Open for lunch and dinner Mondays to Saturdays, Shortmarket Club is at 88 Shortmarket Street in the city centre. Bookings can be made online at www.theshortmarketclub.co.za, or telephonically on 021 447 2874.